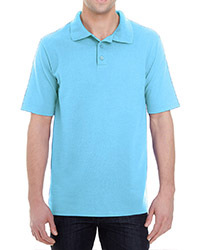 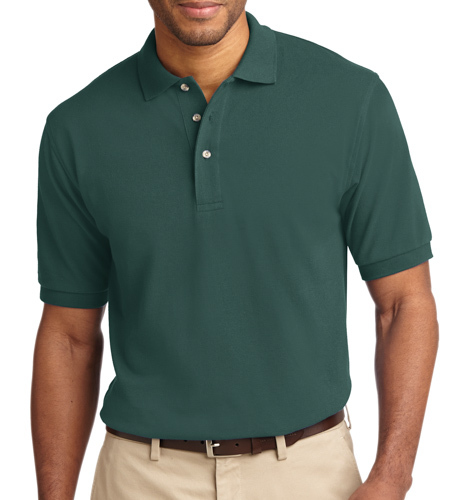 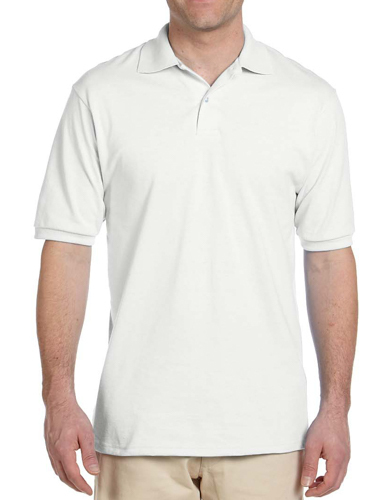 Check out this Jerzees 5.6 ounce polo featuring a 50% cotton and 50% polyester jersey fabric that is treated with SpotShield for a stain resistant finish. 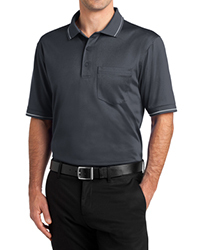 It also features a welt knit collar and cuffs, as well as a 2-button placket with pearlized buttons. 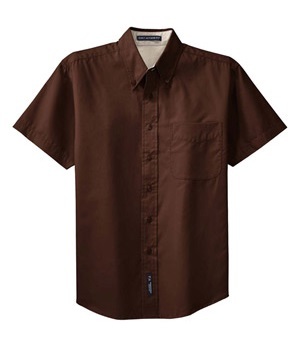 It also has a double-needle bottom hem.